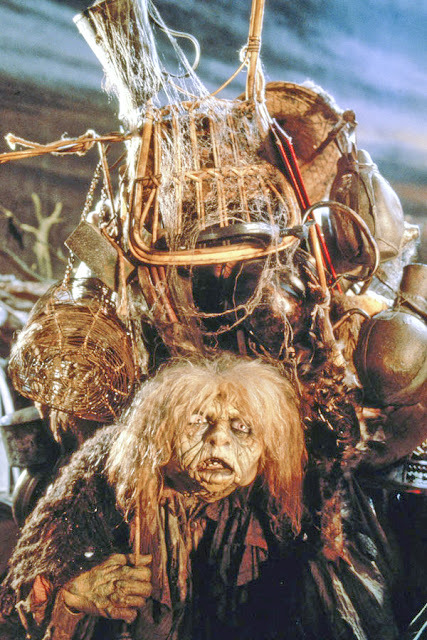 You know that scene in Labyrinth where the old Muppet Junk Lady tries to distract Sarah from her quest by showing her all of her own belongings and Sarah begins to pile her own junk around her until she suddenly realizes that her stuff is keeping her from her destiny and she escapes through the ceiling? I swear I have Depression Era tendencies to hoard because I feel like I’ll never have money to buy anything again and for the love of all things mighty, you just might need that cord, bucket, box of old books, container of canning lids that have no jar to screw into (true story… I’m a mess). So a purge is coming. possibly this weekend, but nevertheless, soon. Very soon. If not I fear I may actually turn into that junk woman, weighted down by all my crap. I’m the worst at this. Send me your strength, folks! Ima need it.